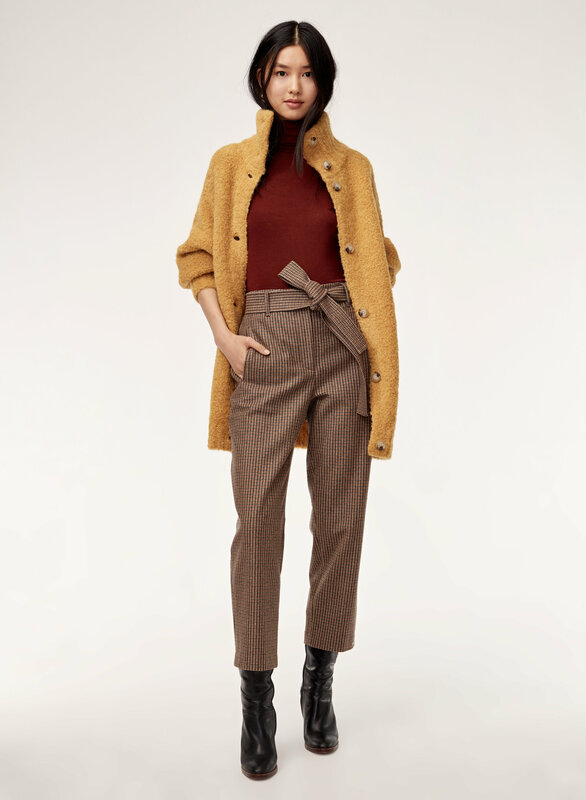 Styled with karlis cardigan and tie-front pant . 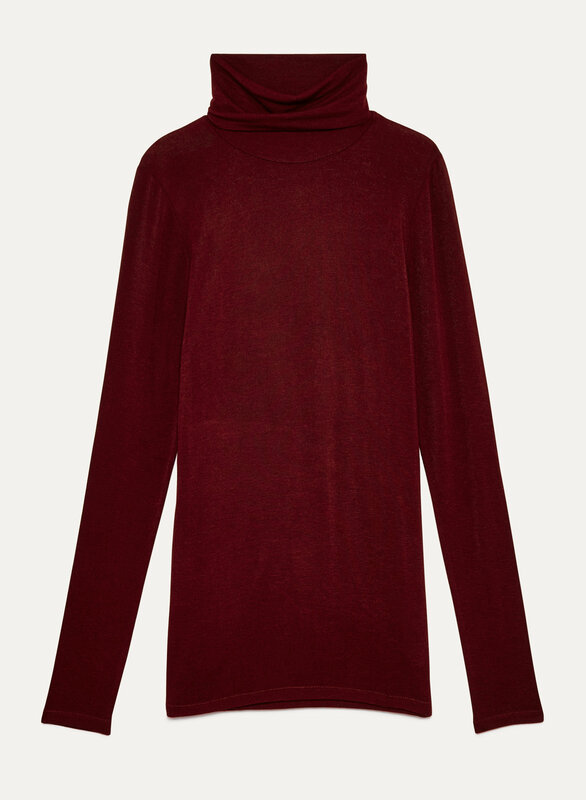 Made from a gauzy wool-blend jersey, this longsleeve works beautifully on its own or underneath other layers. 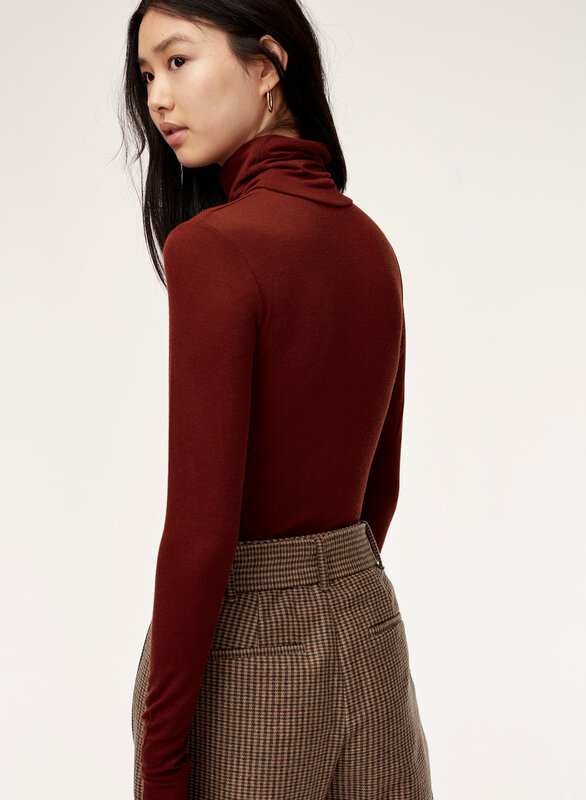 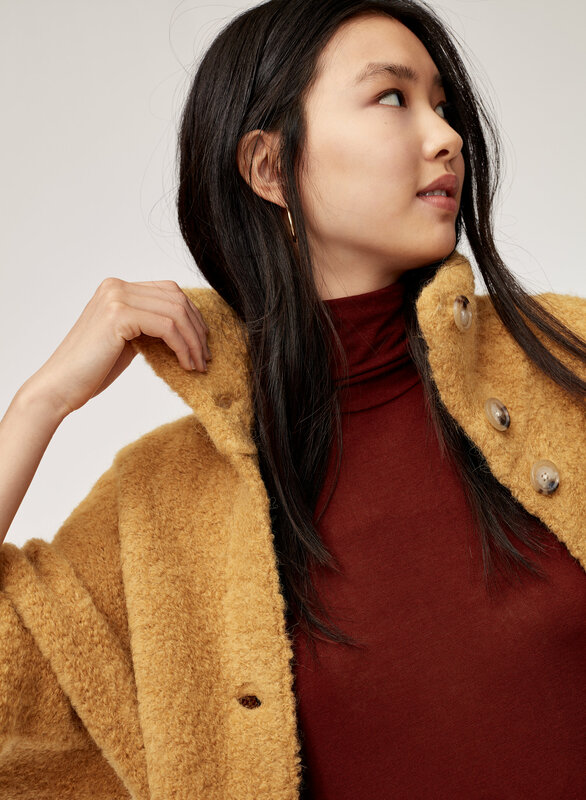 The turtleneck is a little slouchier than usual, giving it a contemporary feel.